The Walrus block is for April. I made the polka dot muzzle thinking I might embroider some whiskers onto the Pinneped. What is a pinneped, do you ask? A flipper footed creature like the walrus, seal, and sea lion. I was at Pier 39 in San Francisco last weekend and saw the inhabitant sea lions sleeping and some frisky ones playing and knocking each other on and off the pier. It was quite an entertaining free show! If you go, don't forget to go by the Antique Penny Arcade (free entry), and the Eagle's Nest had the most delicious clam chowder bread bowls! 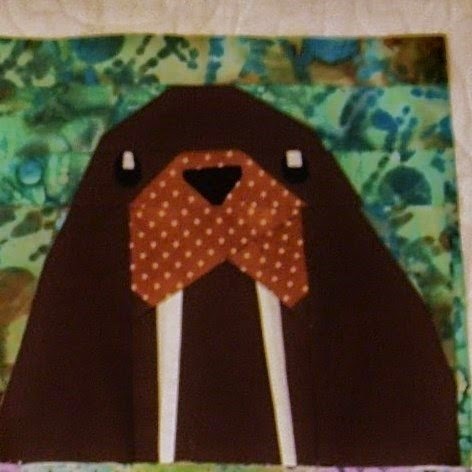 Stop by Kristie's blog, Quiet Play for the free pattern (April only) and to see the parade of other Walruses! I now have 8 blocks made for Shannon's Quilt Along at Modern Tradition Quilts. I would have 9 but my cousin came to visit and I offered her any item of her choice from my craft room and she chose one of the blocks to frame for her office. Many of the fabrics are from a Layer Cake called Josephine by French General. 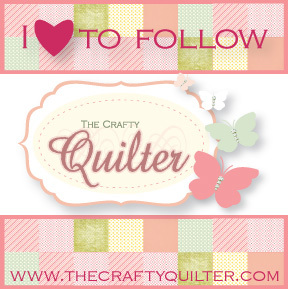 Linked up with Crazy Mom Quilts and Quiet Play. Super fun animal blocks - cool work! Love your Walrus additions to your Zoo Animals! They are adorable!